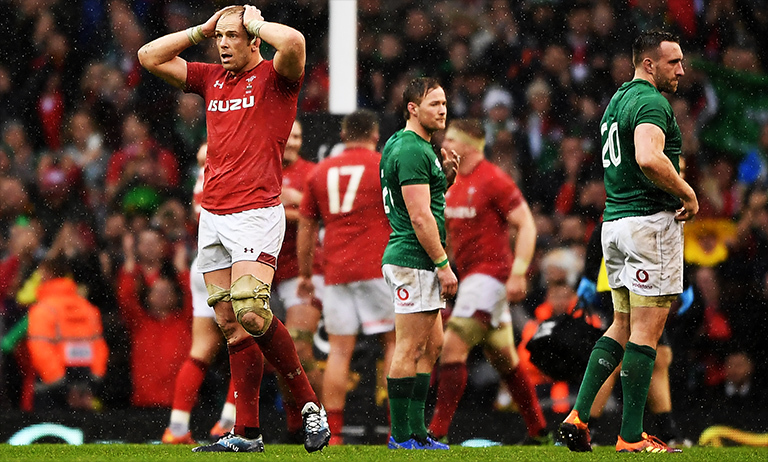 Alun Wyn Jones played on for over 70 minutes against Ireland last Saturday with knee ligament damage, captaining Wales to a Six Nations Grand Slam with a 25-7 win in Cardiff. The lock went down after just 10 minutes in their Six Nations finale, but hobbled back to his feet after having his knee heavily bandaged by Wales’ medical team. He then went on to play an absolute stormer, making 19 tackles in a towering performance. Jones was this morning named Six Nations Player of the Championship after an incredible tournament.